Book: Exodus (1), Matthew (1), John (2), 1 Corinthians (1), Colossians (1), Titus (1), 1 John (1). 1 Corinthians 15:12-20 (Part of the 2018 At Home at Church series). Preached by Dr. Jon Fancher on September 30, 2018 (Sunday Morning). Exodus 16:1-3 (Part of the 2018 At Home at Church series). 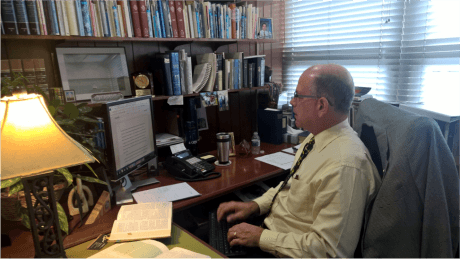 Preached by Dr. Jon Fancher on September 23, 2018 (Sunday Morning). 1 John 4:13-15 (Part of the 2018 At Home at Church series). Preached by Dr. Jon Fancher on September 16, 2018 (Sunday Morning). Titus 3:1-8 (Part of the 2018 At Home at Church series). Preached by Dr. Jon Fancher on September 9, 2018 (Sunday Morning).